Rob Key says stopping England players from playing football would "cause anarchy"
Rob Key believes stopping England's cricketers playing football in practice would "cause anarchy". Wicketkeeper-batsman Jonny Bairstow twisted his ankle on Friday, the day before the visitors' fourth one-day international against Sri Lanka, and was forced to sit out the 18-run DLS victory in Kandy. However, despite the injury, Key feels the sport is an integral part of bringing the group together, with spirits within the team visibly improving since the re-introduction during warm-ups in 2015. "Once every two years warm-ups are up for debate," Key said during Saturday's rain-affected game. "I know from county cricket that if you take football away from professional cricketers it causes anarchy. "There is no reason really to play football, even though they might argue it helps you move, but mentally it does so much for a group. "When Paul Farbrace took interim charge [in 2015] one of the first things he did was bring back football and all of a sudden the team's spirit went up. People will shout at the TV saying 'it's not worth it' but this team will argue it is." Football-related injuries have struck the England side before, with all-rounder Joe Denly suffering a knee injury in a challenge with Owais Shah in 2009 during training. "A few of the lads were saying I ruined their football - the best part of the day as they say," Denly said of the incident, which saw then head coach Andy Flower ban the sport. "Thankfully it is back in now and hopefully no more injuries." No official confirmation has been given on the extent of Bairstow's injury and England will assess him ahead of the fifth and final ODI in Colombo on Tuesday. England will be aiming to complete a series whitewash after taking an unassailable 3-0 lead in the five-match series following their victory in Kandy on Saturday. England reached 132-2 off 27 overs in their chase of 274, with Joe Root (32 not out) and Eoin Morgan (31 not out) sharing an unbeaten 56-run partnership before the rain began to fall. 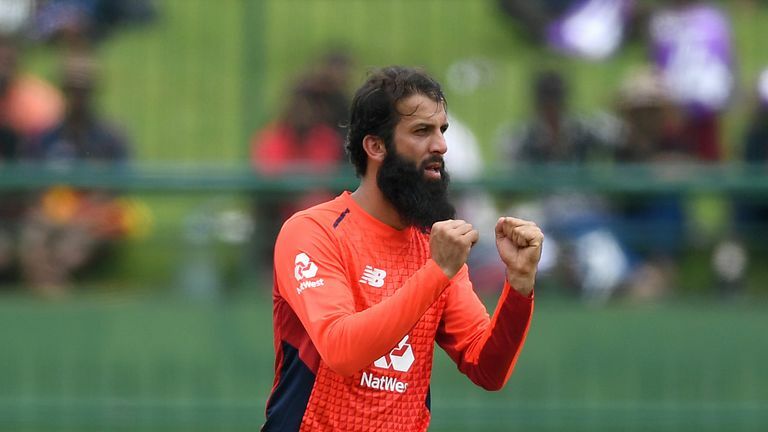 Sri Lanka had posted a competitive 273-7 from their 50 overs, as Niroshan Dickwella and Dasun Shanaka struck half-centuries but Moeen Ali (2-55) and Adil Rashid (1-36) impressed once more. Key was full of praise for Ali, whose excellent recent form includes a nine-wicket haul against India on his Test return in Southampton in August. "Full credit to him," Key said. "He has spun it more than the Sri Lanka spinners and he spun it more than Ravi Ashwin at home in the summer. "He has got better very quickly. Five years ago he was a very average off-spinner and didn't really know what he was doing, so it will be fascinating to see when the Tests come around how he will compare to everyone else. "At the minute, he is out-bowling most spinners he is coming up against." Watch the fifth one-day international between England and Sri Lanka live on Sky Sports Cricket from 9.30am on Tuesday.